CodeGuard is a service that was designed with the purpose to make the backup process as easy as possible. 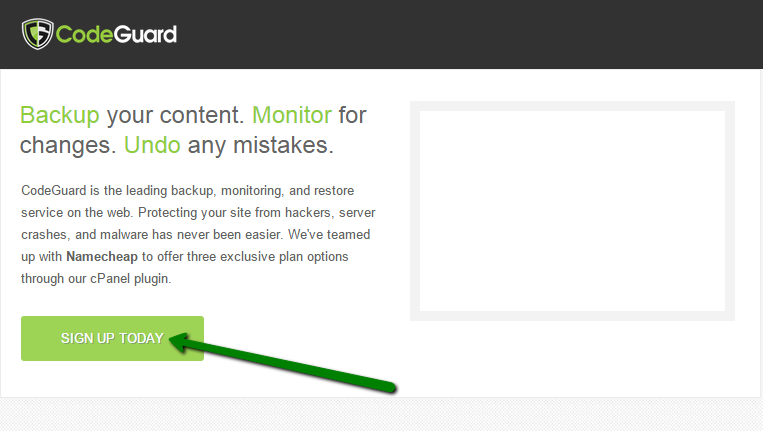 The CodeGuard system will constantly monitor the website and keep you informed of any changes, performing full automatic backups of your files to avoid any possible downtime. CodeGuard is a commercial product, however, everyone can take advantage of the 14-day trial version here. CodeGuard requires FTP/SFTP/MYSQL connections in order to perform constant backups. First time the system connects to the server, it retrieves all the files and databases and keeps them as an initial backup. All the future backups are differential. 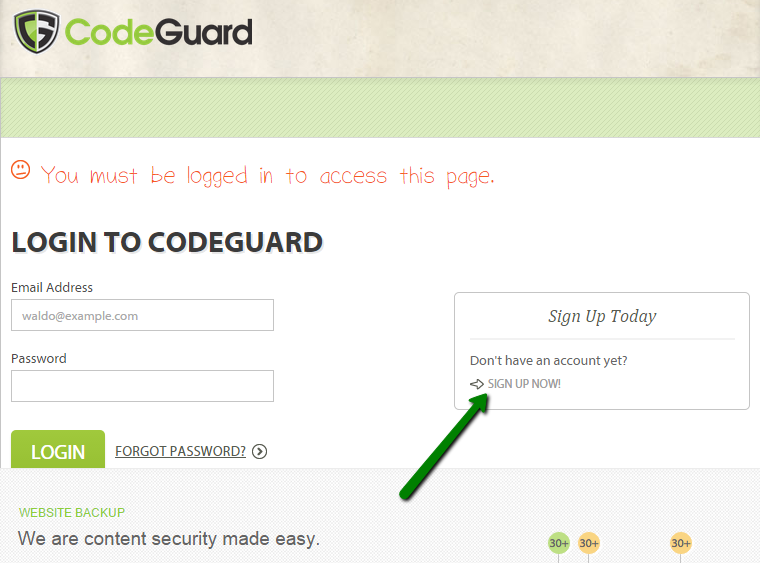 Anytime the source code of your website is changed, CodeGuard will immediately send an alert notification to your contact email address. After the monitoring is finished, CodeGuard will back up website files where it detects any changes and put them into a Time Machine which stores all the differential backups. 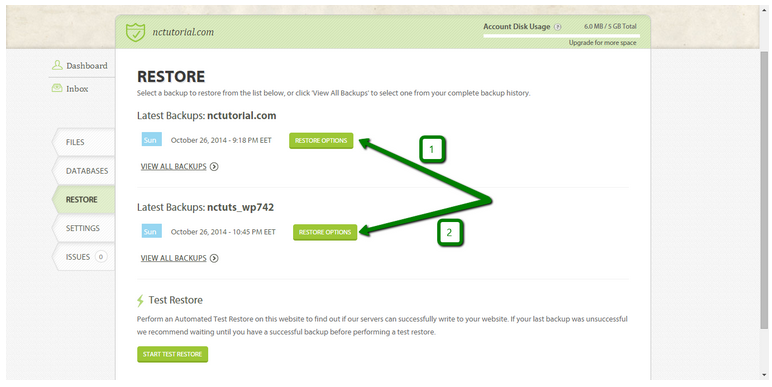 In order to start the initial backup process, you will need to add your website via FTP first. Then, you will be prompted to enter FTP access details for a successful connection. NOTE: We strongly recommend to use SFTP connection to perform backups securely. The correct details can be found in the Welcome Guide email which was sent to your contact email address after the hosting package activation. On the next screen, you will be asked to choose the web root directory of your website. The next window will show how the backup process is handled by the CodeGuard system. On the next step you will need to indicate the settings for MySQL connection. Direct access to MySQL server is disabled on all Shared, Reseller and Business servers due to security reasons. NOTE: Contact our hosting support via live chat or via the ticket system in order to enable SSH access for your account. Now you will have your MySQL Database backed up on a daily basis. In the next window, you will be able to choose from combined backup restoration which includes files and databases and a single MySQL Database backup restoration. We are going to choose the first option in our example. Once you decide on the option to use, simply click on the corresponding button and follow on-screen instructions to finish restoration.